John A. Abbo is an associate in the Bloomfield Hills, Michigan office of Dykema. Mr. Abbo focuses his practice on Taxation and Estates. 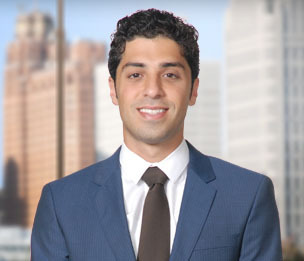 While in law school, Mr. Abbo served as the Managing Editor of the Law Review, and also as an Extern for the Wayne County Corporation Counsel in its Tax Division. As a student, he achieved awards in Business Organizations, Corporate & Partnership Tax, Property, Criminal Law, and Torts. He was inducted into the Frank Murphy Honor Society, for graduating in the top 10% of his class. Prior to law school, he helped manage a family-owned business, serving as Controller of the organization. Mr. Abbo's duties involved project management, cash and risk management, accounting operations, reporting, and compliance.